Happy fall to all my readers in the Northern Hemisphere, and happy spring to you folks down south! I love the beginning of a new season, don't you? September not only brought a much anticipated change in weather for us here in Taiwan, but also some great new favorites for fall. I've been wanting to try out a Soap & Glory product for quite a while. I decided to get the Flake Away Body Polish , which is like a scrub, at Boots in Dubai. I can't say enough good things about it. It smells good, it's not too harsh on my skin, and after rinsing if off, it leaves my skin soft, smooth and polished. Also, it smells so good! 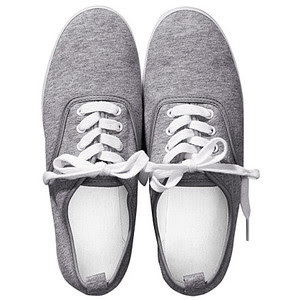 I spotted these gray sneakers at H&M in Barcelona, and just had to have it. They are so comfortable and great to wear as an everyday walking-to-work shoe. I'm sure I'll still get a lot of wear out of this pair, come the cooler days. I've been thinking about getting a bag that I can use for work every day. Too many of my purses and bags get worn out from my commute to and from work. 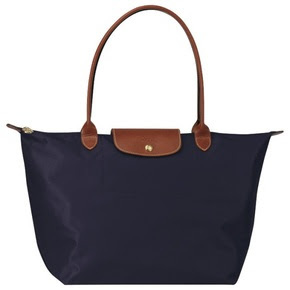 I decided on the large Le Pliage bag in navy from Longchamp here in Taipei. It's a little pricier than I'd usually want to pay for a "work bag", but it's so perfect. It's spacious, light and has a zipper, which is always a plus. You'll rarely see me wearing any earrings except plain studs. 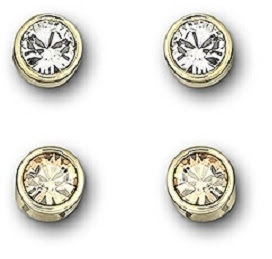 I got a little bored with my small diamond ones, and picked out this set of Harvey Gold Plated Crystal studs at the Swarovski store at the airport in Barcelona. I love them! I actually purchased the Dream Lumi Touch Highlighting Concealer a few months ago on feelunique.com I kind of forgot about it while I was using my Bobbi Brown corrector, and only discovered it again this past month. This concealer is wonderful for highlighting your under-eye area. It instantly brightens up my eyes, making me look more awake. Perfect for someone who starts working at 7:30am. My absolute favorite thing from September is my new bike, the Giant Via 2 W. The Boyfriend has been talking about getting a bicycle for months now, as there are some awesome bike trails in Taipei next to the river. I went with him to pick out his bike, and saw the Giant Via 2 on display. 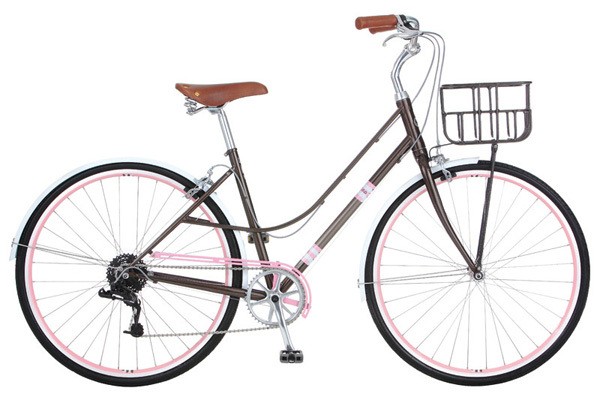 I fell in love with the pink rims and the brown seat and handlebars. It has 8 gears, which, honestly, means nothing to me, but apparently it's good for this type of bike... Also, I can get a wicker basket put on if I want. How cute! I forgot how much fun it is to go cycling. What were your favorites for the month of September? Oooh, that can be dangerous, having an H&M right by your house! ;-) We don't have one here in Taiwan, which is a bummer. I love that store! I've been loving being able to wear jeans and leggings again. Yay for fall! I loved your blog and your style!! Is this Soap & Glory really good?? 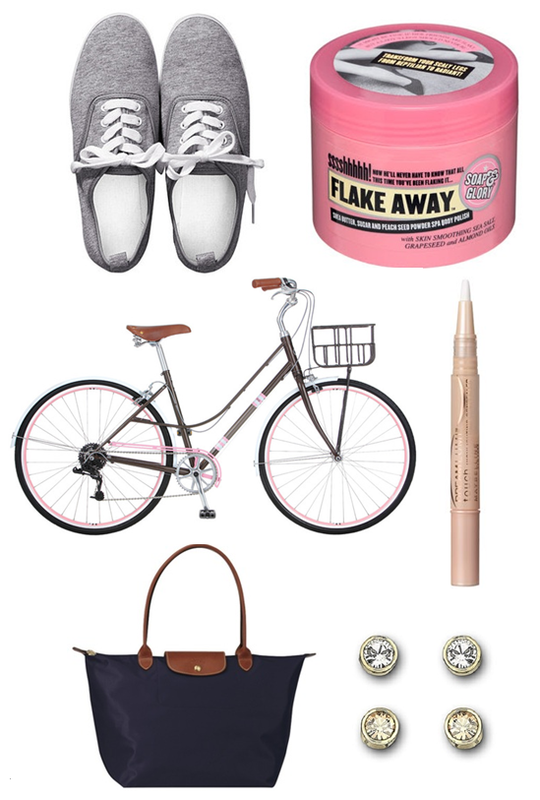 I can really recommend the Soap & Glory flake away polish. I've used many body scrubs in my life, and I have very sensitive skin, which can get easily irritated by products. This specific scrub didn't irritate my skin, and left it really smooth and soft. My skin didn't feel dry afterwards, which some scrubs usually do. Currently obsessed with Rimmel's lasting finish lipstick in "Alarm." Perfect red shade for the beginning of fall.